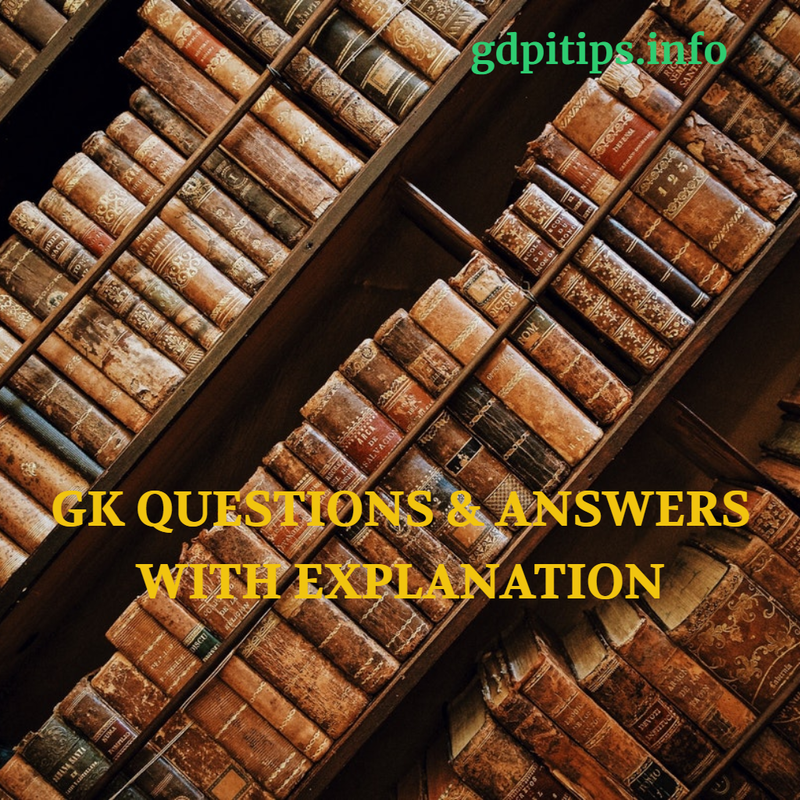 Home / GK Questions & answers / General knowledge(GK 2019) Questions & Answers with Explanation (Part 2). The Chitwan National Park is the first national park of Nepal. It covers an area of 952.63 square kilometers. It was established in the year 1973. In the year 1984, it was declared as the World Heritage Site. The Similipal Tiger Reserve is situated in the Mayurbhanj district of Odisha. The tiger reserve is spread over 2750 square kilometers. It was established in the year 1980. Q5 The headquarter of International Atomic Energy Agency is located in ________________. The headquarter of the International Atomic Energy Agency is located in Vienna, Austria. It was established in the year 1957. Guru Shikhar peak is the highest mountain peak of Rajasthan. It is the highest point of the Aravalli Range. The total height of this mountain peak is 1722 meters. The Magod Falls is located in the Uttara Kannada district of Karnataka. The height of the waterfall is 198 meters (650 ft). Q8 The National Police Commemoration Day is observed every year on _________________. The National Police Commemoration Day is observed every year on 21st October to pay tribute to the 10 men of the Central Reserve Police Force who killed in a trap by Chinese troops in 1959. The book “Half the Night is Gone” is authored by Amitabha Bagchi. The book tells the story of a celebrated Hindi novelist Vishwanath, heartbroken by the loss of his son. Ramon Magsaysay Award was instituted in the year 1958. The award is an annual award established to commemorate former Philippine President Ramon Magsaysay.